The latest WhatsApp scam offers free internet without the need of using WiFi. Another day, another scam. This time the attackers are offering free internet to WhatsApp users if they open the given link and invite their friends too. 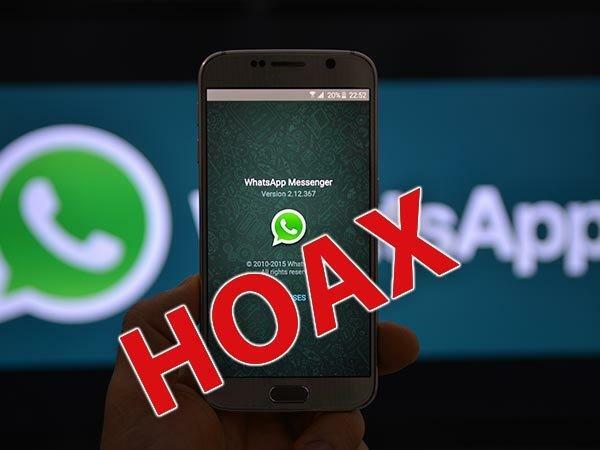 Though many people today are aware of such hoaxes but many naive people still open such links, especially if they receive invitations from their friends. Once you click the link, the page will detect the device’s language and show the following image which asks you to share the content with at least 13 people. Thus, the scam keeps spreading. WhatsApp keeps facing such hoaxes and scams. Hackers tried to hack into the banking details of users recently by sending corrupt files. Earlier in November 2016, video calling scam hit Pakistan where users were asked to open certain links in order to get the feature. Users should be careful about opening such links as this may put their personal security at risk. 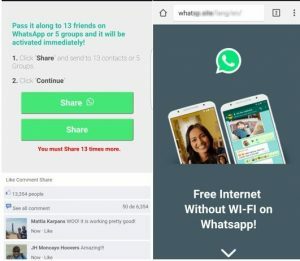 The post Beware of WhatsApp scam offering free internet without WiFi appeared first on TechJuice.